June-uary comes with its own set of skincare woes. Just when you think it's time to shed some layers, unusually autumnal weather can wreak havoc and leave skin feeling dry. To the rescue: Curel Intensive Moisture Care. Originally developed in Japan and now the top-selling sensitive skincare brand there, this offshoot of the well-known drugstore brand aims to restore the balance of ceramides, or lipid molecules, found in healthy skin. The moisturizing, fragrance-free hypoallergenic formulas are also supposed to be good for sensitive types. A basket full of Curel Intensive Moisture Care products arrived on my desk a couple months ago and I've been dabbling with them ever since. While my skin isn't dry enough to require some of the heavier duty moisturizers and creams, I did appreciate the finer points of the products which sounded suitable for all skin types. I previously featured the Body Milk ($15) in my Most Coveted List; two months later, I'm still a fan. Light, non-greasy, fast-absorbing but effective, it's a terrific summer moisturizer. Even though I use an SPF lotion during the day, I like applying the Body Milk before bed for an extra boost of softness. The Body Wash ($15) has a rich, fragrance-free lather that left my skin feeling soft and rinsed away cleanly. One pump creates more than enough suds for a shower, which means the 440ml container will last ages. Similarly, the Foaming Face Wash ($18) gently cleanses with a rich lather that feels moisturizing to the touch and leaves no residue. If you're a makeup wearer, using the Foaming Face Wash ($18) in conjunction with the Make-up Cleansing Gel ($18) will give you the best results. As an admittedly low-maintenance beauty lover who wears minimal makeup, I initially didn't see the need for a face makeup remover that doesn't work on eye makeup and precedes cleansing. But after I got into the habit of massaging this soothing gel into my face and seeing it lift away all traces of concealer and tinted moisturizer, I became a convert. 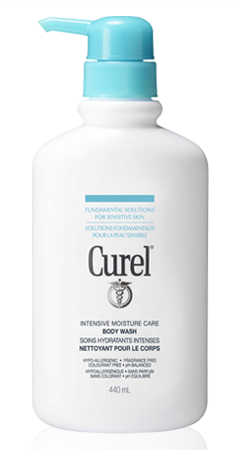 The Curel Intensive Moisture Care line is available at select London Drugs locations in Vancouver. seems like a good line, I wonder if London Drugs is a west coast thing because I just thought about it and I don't recall seeing any London Drugs in Ontario!! I think it IS a West coast thing. 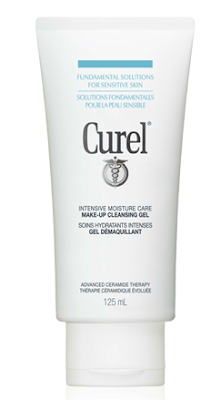 What's more, Curel Intensive Moisture Care is only available at a few London Drugs locations in Vancouver. We're the city to test new trends in, I guess!